S M Ong: Whaaa...? An online petition that actually worked? Whaaa...? An online petition that actually worked? Response from MHA - Success! We refer to your email dated 19 November 2014. 2. Blanc has been involved in seminars in various countries that advised men to use highly abusive techniques when dating women. Violence against women or any persons is against Singapore law. The Immigration & Checkpoints Authority, in consultation with the Ministry of Social and Family Development, will not allow Mr Blanc into Singapore, especially if he is here to hold seminars or events that propagate violence against women or to participate in other objectionable activities in Singapore. We took a stand and we did it! Thank you everybody! Last month, I wrote a blog post wondering why people are still starting online petitions when they never seem to achieve their stated objectives. It's unlikely the Revoke Han Hui Hui's Singapore Citizenship! petition (6,317 signatures) will be successful too. 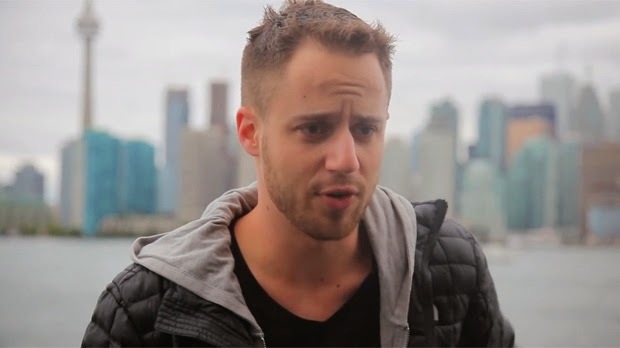 So how did the Julien Blanc petition succeed when the others failed? Well, in the first place, the petition doesn't really require anyone to do anything. I mean, it's not like the Government has to cancel Blanc's visa like Australia did. In the second place, since other countries have also banned the guy, it's not like Singapore is going out on a limb here. 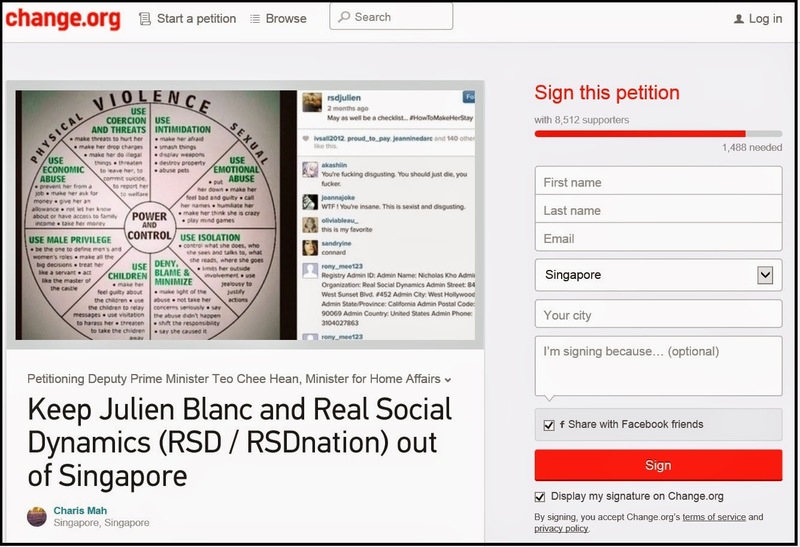 Third, is it really the petition that persuaded the Government to not allow Blanc into Singapore? With 8,512 signatures, the petition is actually short of its 10,000 target. Based on Ms Mah's update and the Ministry of Home Affairs reply (which doesn't mention the petition at all), it seems to me that it was Ms Mah's email - not the petition - that persuaded the Government. Was the petition a factor? Probably. Would the email have worked without the petition? Possibly. My point is, this is not evidence that online petitions work, although I'm sure there are people who will take it that it is. Or perhaps Han Hui Hui should start packing after all. Especially after the latest plagiarism allegations.